I posted this before but here's more info. 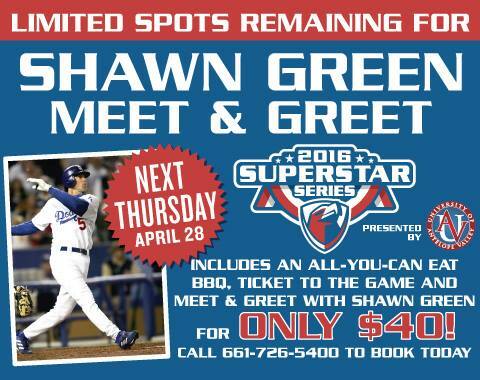 There's a VIP Meet & Greet from 5:30-6:00 (flyer attached), and then Shawn Green will be throwing out the first pitch and signing for fans from 6:30-8:00. Tickets to the game start at $9 - the VIP Meet & Greet is $40.